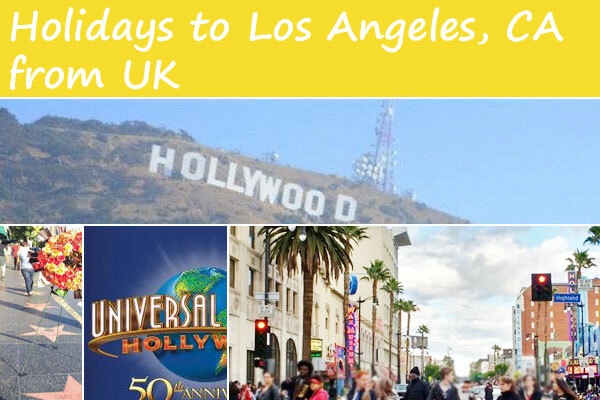 Find here cheap holidays to Los Angeles from UK offered by some of the top tour operators in the UK. Tailor-made, luxury holidays to California. (Los Angeles 3 Days + Los Cabos 7 Days) 10 days tour £4,609 per person Hayes & Jarvis Travels Limited. (Las Vegas 1 Night + Yosemite National Park 1 Night + San Francisco 2 Nights + Central California Coast 1 Night + Los Angeles 2 Nights + Las Vegas 2 Nights + Grand Canyon National Park 1 Night + Utah & Arizona 3 Nights + Las Vegas 1 Night) 15 days tour £3,659 per person Hayes & Jarvis Travels Limited. (Los Angeles 3 nights + Maui 4 nights + San Francisco 3 nights) 11 days tour £3,399 per person Hayes & Jarvis Travels Limited. (Los Angeles 3 Days + Turks and Caicos Islands 7 Days) 10 days tour £3,309 per person Hayes & Jarvis Travels Limited. Page updated : March 23, 2019.